A study in Diabetes Care, published by the American Diabetes Association, shows that a low-fat, vegan diet is highly effective for blood sugar control in people with type 2 diabetes. 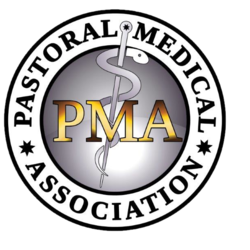 The trial was conducted by the Physicians Committee for Responsible Medicine, under the auspices of the George Washington University, along with the University of Toronto, and included 99 adults with type 2 diabetes. Participants were randomly assigned to follow either a low-fat, vegan diet or a diet following current ADA guidelines. Investigators tracked hemoglobin A1c, a commonly used index of long-term blood glucose control which, according to the ADA, should be less than 7%. The average participant began the study with an A1c of 8%. After 22 weeks, A1c had fallen by one full point in the vegan group, nearly twice the magnitude of the change in the ADA group. Many individuals in both groups reduced their medication use in the course of the study. Among those whose diabetes medications remained stable, A1c dropped by 1.2 points in the vegan group, compared to 0.4 in the ADA group (P = .01). Weight loss averaged 13 pounds in the vegan group and 9 pounds in the ADA group. LDL cholesterol dropped by 21% in the vegan group, compared to 9% in the ADA group. Prior studies have shown that a vegan diet improves insulin sensitivity and causes significant weight loss. Because it imposes no limits on calories, carbohydrates, or portion sizes, it may be easier to follow than an ADA diet, which limits each of these. Dr. Keith and Laurie Nemec’s comments on a vegan diet, controls diabetes. This study published in Diabetes Care, which is published by the American Diabetes Association, showed very specifically that a low fat vegan diet is a diet that totally devoid able of animal products, dairy products, anything from animal is not in this diet. This was highly effective for blood sugar control, with people with Type II Diabetes. In this study the average weight loss was 13 pounds in the vegan group and the LDL cholesterol dropped 21% in the vegan group. As the study showed, the researchers’ tracked hemoglobin A1C, which is commonly used index of long term blood glucose control. And what they found was those who adopt the vegan diet, the diabetic medications remain stable and the A1C dropped 1.2 points as compared to .4 points in the group that adopted the American Dietetic Associations guidelines for diet. This study, again, reinforces the back to the basics, back to the plan that God designed us to eat, which is a living raw plant based diet. Now this diet study was vegan which means no animal products at all, but it wasn’t necessarily raw living. You would have seen even a higher balancing of blood sugar if the foods were in the uncooked form, because when we cook foods, even plant based material, it turns into more sugar than in the uncooked form. Always remember cancer loves sugar. If you eat a living/raw plant diet this is an important step in any alternative cancer treatment. It also has much more nutrients in the uncooked form and it has enzymes and bioenergy and bioelectricity, which are totally destroyed in the cooking process. 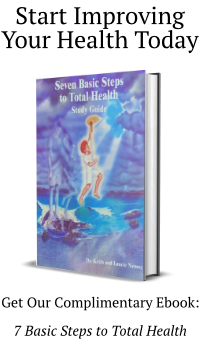 So, always remember the Seven Basic Steps to Total Health™: And when we live each one of these steps fully we will be all that God has called us to be in body, mind, emotions and spirit and we never have to worry about diabetes or most any other health challenge when we are walking and living these 7 Basic Steps to Total Health day in and day out as a lifestyle.